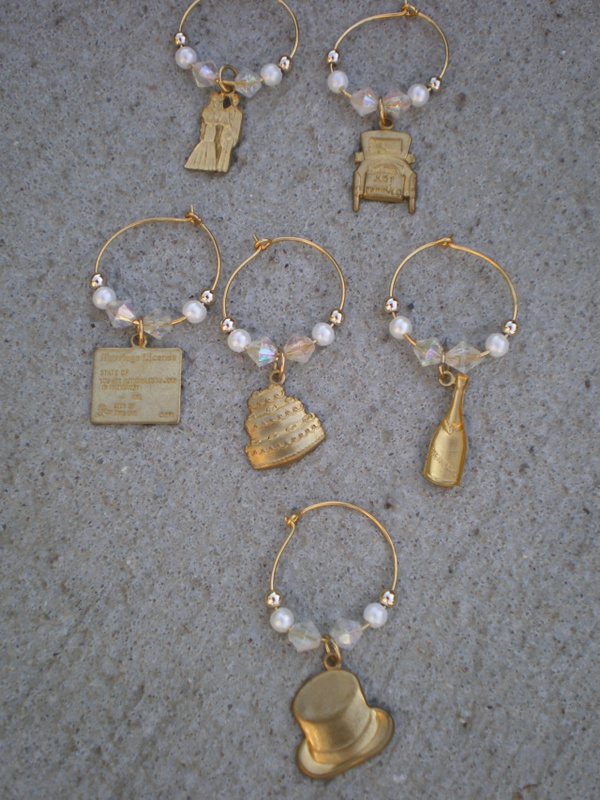 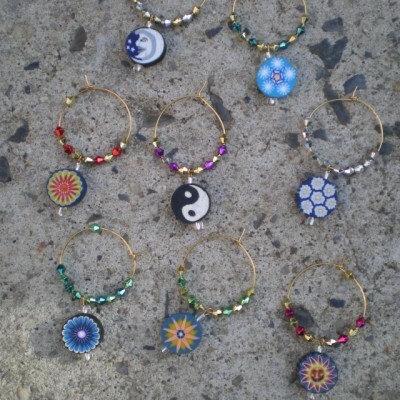 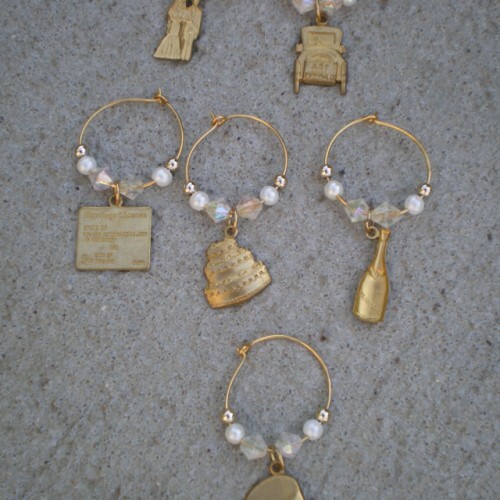 Gold tone,wedding theme charms.Quite lovely. 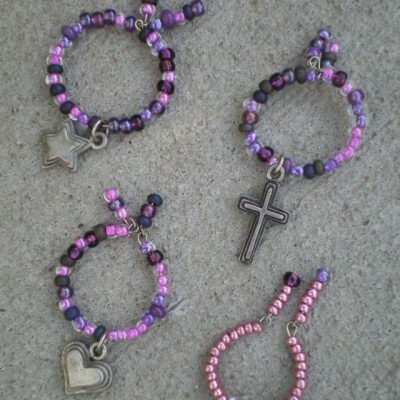 Crystal + pearl beads. 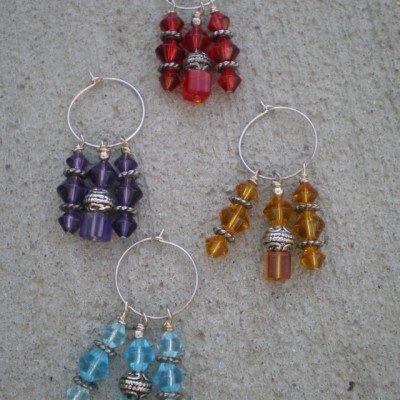 Be the first to review “Set of 6 Gold Tone Crystal & Pearl beaded wine markers” Click here to cancel reply.